On the 1st (Mon), take in the waterfront at Malecon and then explore the activities along Sun Bay. Get ready for a full day of sightseeing on the next day: visit a coastal fixture at Puerto Ferro Lighthouse, then enjoy the sand and surf at Caracas Beach, and then enjoy the sand and surf at Blue Beach. To find where to stay, traveler tips, reviews, and more tourist information, read our Isla de Vieques sightseeing planner. Culebra to Isla de Vieques is an approximately 2.5-hour combination of flight and taxi. You can also ride a ferry. In January, daily temperatures in Isla de Vieques can reach 32°C, while at night they dip to 26°C. Finish up your sightseeing early on the 3rd (Wed) so you can travel to Culebra. Kids will appreciate attractions like Flamenco Beach and Carlos Rosario Beach. There's still lots to do: stroll through Zoni Beach, identify plant and animal life at Culebra National Wildlife Refuge, get a new perspective on things with Boat Tours & Water Sports, and enjoy the sand and surf at Tamarindo Beach. 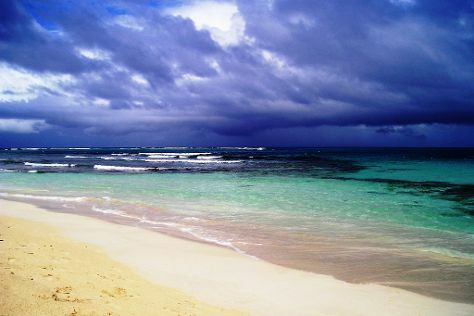 To see where to stay, more things to do, and tourist information, read Culebra trip planner. You can do a combination of taxi and flight from Isla de Vieques to Culebra in 2.5 hours. Another option is to ride a ferry. In January, plan for daily highs up to 33°C, and evening lows to 26°C. Finish your sightseeing early on the 6th (Sat) so you can travel back home.